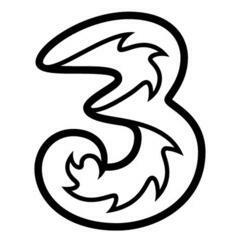 Three is the newest of the "big 4" networks in the UK and is the only network to operate a 100% 3G service. The network was launched in 2003 and upgraded significantly in 2008 so that it now covers 97% of the UK population. 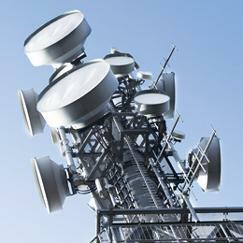 In addition to voice and data services, Three also offer mobile broadband services including mobile wi-fi. Despite being the first UK network to launch a 3G service, it will be the last to offer 4G, with no plans to launch until December 2013. 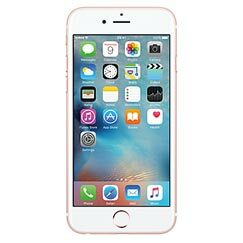 2018, I am facing issue with my signal, I can't use my mobile in my house or my work, I contacted three, they said it is because of my mobile ( iphone 5 ) we can not fix your issue, you have to upgrade, they sold iphone 7 to me with big bill and 24 months contract, I still have the same issue no signal! I spent lots of time talking to them about it, they do nothing, simply they said we can't fix your issue, I asked them to terminate my contract they refused, today I was talking to them again and they offered me to upgrade :D honestly I feel lost :( what should I do? please if anyone knows what to do let me know, is there any department helping people in this issues? Great super network with volte hd and super fast. I have been with Three for over 5 years and the service they have provided me have been really good. Almost 2 years ago dropped my bill from £30 to £21 and was told that it was a new contract so old contract would be cancelled. Well not so! Have been paying both bills for two years. First complaint is that the person on the other end of the line pretended they couldn’t understand what I was explaining to her and I had to ask to speak to a manager. Was on for ages before they apologised and said the person changing accounts had forgot to cancel the first contract. A week later promised reimbursement had not materialised so went through same process again. Same promise followed but not followed through. Just got off phone once again and now have to wait for the third time. The reason I dropped my bill was that the moment I walk into work I lose signal for the rest of the day. If I want to get a signal I have to walk around the car park. Text massages arrive after I get home which is not good when someone expects to pick them up after sending a text asking me to. Have been ill at work, had car break down and/or have needed to contact family/hospital and not been able to. This is beyond a joke. I never use my full internet allowance, calls or texts. Incompetend and RACIST service on a "helpline". Indoor network coverage worse than poor. I've got a problem with my network signal at home. I reported it several times with no answer. I went to Burton on Trent branch to ask why they sold me a product saying great 4G coverage in whole Burton and I can't even send a text message or make a call when I'm at home. I've got no internet at home as well. At Burton branch the guy was extremely rude and he said that it is not their problem that I have a poor signal in my house. He said that there are some works on making that coverage work better but nothing has changed since I've been there half year ago. He also told me that my 4G phone doesn't operate on 4G lol how it is possible that people without basic knowledge about phones and stuff represent big company like Three? I've tried to report this problem using webchat and I've had that big pleasure to speak with Amit. I spent an hour on writing messages to him to clearly explain what my problem is and then he asked me a few security questions. When I gave him all the answers he started asking if I'm still here and when I said yes and why is he asking he closed a chat window. I was in shock and I've tried again with the same result he asked me few questions and then kept asking if I'm still there and it doesn't matter that I did answer all his questions he closed chat again. I made a screenshot before he closed the chat to have a proof of what that racist done. After that I've tried again but he blocked my permission to use 24/7 chat and it says now that the chat is now available for me. I just couldn't believe what happend so I found a phone number to the three helpline and I rang them and before I finished explaining what has just happend a person ended a call. I thought that I'm gonna explode. After that they sent me a text message that my case has been registered and that's all what they've done. I was waiting for about a week for a reaction but nothing happend. I was with giffgaff before and I've had full 4G signal everywhere and then I've made the worst decision to move to three. Racists Asians on a helplines and web chat. Slow downloads,average signal,overpriced tariffs.About what I would expect from a mobile phone network. Three have very poor coverage, i have cancelled within the 14 day cooling off period which involved a 30minute conversation with someone in the far east. no PAC can be provided for 2 to 3 days. i do not recommend this company coverage is poor and customer service is appalling. to expensive. coverage patchy. customer service need to learn English.99℅ coverage not the truth does not mean country coverage means population coverage very crafty. I'm just coming to the end of a 2yr contract with this shambles of a company.when ever I've reached the end of my 15GB allowance it tells me to buy an add on because that's the only way to use more data.the last few months I've stuck to my 15GB limit and no add ons.on 30th April 2017 I've apparently,knowing I'm out of data because the page telling me to buy an add on appears,used 1256.00mb over my allowance.i knew I'd had a week to go before my new allowance began but no I'd apparently used data at £114.67.the first operator offered me £20 credit.The second offered me £50 and 15GB at £9.99?? Have I been mugged?? I've managed to get a cap secured after 5 attempts.BEWARE OF THE CAP MAKE SURE YOU HAVE ONE. I have been with almost every phone provider and Three is by far the worst I had to cancel the contract within the colling off period. 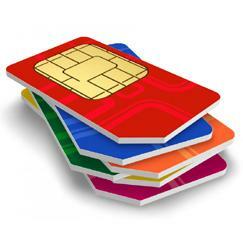 Three market an International sim so you can use calls, texts and data abroad. Nowhere on the website does it mention this actually only lasts for 2/3/4 (they still can't give a definite answer) until you are charged premium rates for using your phone abroad. I cancelled and have reported to ASA (Advertising Standards Authority) In addition to get my PAC code took my 10 days of constant calling (average hold time 45 minutes) to be put through to Mubai and to be told no comprende on most issues. A manager was due to call me back on 4 occasions during this time. They are so unhelpful. I really can't believe their service. Vodafone however text me my PAC code after leaving and their wait time is merely 5 minutes. I think i'l rejoin. DO NOT go with Three. They are an absolute Joke. also when you go into store they ask to scan your passport before giving you a sim card. I find this highly unnecessary (I mean it's not US border control And since three recently suffered a hack I think its a consumers right to be more careful as to where their uneccesary details are held. Hi im using three since 8 years i was upgrading my contract and they delivered my handset to wrong address then i spoken with three they said we apologize we delivered ur handset to wrong address now nearly 20 days gone they still not given my handset everytime they saying same story we r investigating but im faceing d problem they giving me hassle without my fault im facing these things im totly fedup with three network they just ignored me. SO PLEASE BE CAREFUL WITH THEM they dont lookafter d customer. I will certainly escalate your call = I am going for chaa and a dump, you can count on me for nothing. I will just pass you to my manager = Cleaner come here, speak some concerned pleasantries to this English dog. I see, you would like me to help as you don't understand how the network operates = I will make something up and keep you on the phone for 45mins while you and I trip over my circular lies. I can see from the myriad comments that in lord only knows how many years, Three have been consistent in their "Customer Service"- abominable. Only the third circle of hell would be sufficient punishment for their moral dishonesty. Three used to owned by Hutchinson Telecom. To get my phone unlocked, I spoke to Ofcom, who told me they had offices in Glasgow. I spoke to BT Enquiries and got their number and spoke to some British people, who were charming and unlocked my phone in 2 weeks. I am considered swapping my network as my current service is patchy. Having read all the feedback here, Three wont be the network I choose. I called to say had never internet the value go for £15 worse problem now with internet and signal i in the last month and have a week that I am almost no sign I hate this junk even in Brazil's favelas not have this garbage. Thats as far as i have got so far filled in the email form -- But Cant do any thing online without activating one of the sims don't even know who the The SIMs they sent me belong to!!! and any to attempt to stop you from cancelling the contract within the 14 days appears to be the aim of their customer disservice. Increased my bill without any letter. Poor customer service. Been royally stitched up by three. Sold a contract on the basis the coverage of there network is first class. Only to find out this is not the case. Cant get a signal at my house .complained but they are unhelpfull and unsympathetic. Although i got back to the store as quickly as i could 8 days later. They told me i was too late and the only way they were prepared to terminate the contract would be if i paid 120 pounds. This is despite the fact i had been sold a service that i could not use. Do not get involved with this company . They are clearly well versed in the art of deception. They will rip you off. Be warned! I have been with Three since 2003, was on a one plan £15 a month just received a letter stating that this tariff is no longer available new price £33 a month for the same service. spoke with customer services I have now cancelled this contract to demonstrate that there is no customer service. The customer is all ways right, I would urge every one who has had there tariff changed to walk a way from this company. ZERO STARS FOR CUSTOMER SERVICE. Don't expect to be able to make calls easily while in the UK. More often than not you'll not be able to get a signal outside even in areas indicated as good on their coverage map. Simple things like sending and receiving texts are too much to ask it seems. So call customer services and spend a lifetime waiting before you only get someone reading off a script who'll invariably cut you off before you've had change to explain things, so you can start the fun all over. Definitely don't expect a solution, just be fobbed off with excuse after excuse. Escalating a complaint won't be any use either, you'll most likely end up back where you started with no record of your earlier calls being logged. Really really really bad customer service will talk to you and the system once wrong payment they block ur card and u cnt use ur phone for weeks from 5 to 10 days never go for three it's may be cheap but bad what's the point if u haveing problems ever months u will get mad then Wat u have problems wish I can not gave u 1 star. Thank you for writing to us. We understand how it feels to have the unexpected charges on the bill. I've checked your account and see that you're charged �21.99 additional from your line rental. This charge was for using the internet out of bundle. You're package allows you to use 15GB internet data, however your usage for the month November 2015 is more than 15GB. The total usage was 15640.693. I've attached the bill as well for your reference. I see that there is no spending cap on the account. You can reply to this email, if you want us to put the spending cap on your account. If you need to get in touch with us about anything else, or have questions about the information I�ve given you, please feel free to email us back. Seriously. As though I accept this theft. 0 stars. Bad customer service. Facing same issue with connection for more then 6 months. Excuses - new mast in a process, private land owner dont grant access. We've been with 3 for nearly 8 years and we have had good deals from them. The contract we were on wasn't expensive as it was for me and I generally don't use a phone too much. Recently they were upgrading contracts and contacting customers. The way the customer service team handled us was honestly disgusting and shameful. I would expect a little better treatment for staying for so long, I wouldn't even wish this treatment on new customers. The woman and guy we spoke to increased the price of our simple plan of �8 to �22 a month, after a year. I said there out of there mind when other companies charge �10 for the plan we have. They said its inflation and offered a terrible phone, I laughed at them for thinking I'm an idiot. I asked to terminate, and sadly you need to contact another a team. So you have a multi-billion pound company who can't transfer you to a termination team, unless you wait the mandatory 45-60 minutes. Honestly we joined 3 from the beginning and have had other families members who have been with them even longer. The customer service is appalling now, before in the past after a long argument and a lot time wasted you would get through to someone, now they laugh and act smug about your problems and issues. I will list all the positives and negatives of this network for all people who are looking to join them. POSITIVES - Prices aren't too bad and network in some areas is very good. 3 stores are in nearly ever city so you can go to someone to sort minor issues with phones and network (aka faulty phones). You can cap your contract which is a huge bonus so you don't accidentally overspend, especially on internet which is very easy to go over on. Add-on's are very easy to handle and require visiting the website (can be accessed by phone) to add extra texts or internet, and activate in less than 24 hours (personal experience). A dedicated 3 app exists meaning all balances, payments made and overspending can be seen very quickly. Can go in-store to change your sim-card easily at a small charge, handy if you get a new phone. You can access your account and 3 store even when you have ran out of internet, to buy an add-on or check balance. NEGATIVES - Loyalty is no longer rewarded, you will be treated like garbage if you ask for more (even when escalated), they might throw in a old phone from 2012 if your lucky, totally useless. Customer service is horrible and you have to have plenty of spare time to get through to anyone and even longer resolving an issue. All call centers are based in Asia (based on every single call I've made or received from them), just pointing this out for people who care about this. Network is very hit and miss, in some areas its great and others terrible. Indoor network is much worse compared to outdoors as well (a running gag people made was if you want to make a call on 3, you need to leave the building). Internet speed depends on the number of people in the area, for example I had 20MB download speed near my house and in town 1MB on 4G. Tethering is not allowed on contracts as they have stated, unless you buy there rip off sims for just this purpose. Company you can recommend to your worse enemy - three mobile customer service is just awful. 6x was calling about particular problem before they fixed it. Other thing Three mobile data signal is very poor. Customer service says you need to contact department about, they will check why signal is bad and will try to sort it out. This department has excuse - your phone is faulty (in our case 7 phones have the same problem with signal). We have situation when 9 people are sitting in one room (iphone 4s, iphone 6, samsung s4, s5, s5, s6, note2 on three mobile; iphone 4 and samsung s5 on other networks). Three mobile's signal is coming and going on all phones - one minute it is here, then dissappears, then again appears, it is jumping between H, H+ and 4G. On all phones the same. Other networks permanently have signal. We are located in London. Here is NO CHANCES to get any help from three mobile. But three mobile will charge you for nonexistent signal properly, 'because you signed contract with us'. For them it is one side contract, they are not obligate to provide service you were expecting when chose to get their simcard. I too heard of the 321 offer from Three network and thought it was a good deal! My first purchase of �10 was fine as I was issued with the free 150mb of internet data which (for me) was the equivalent of 10 hours of viewing web pages. My second top-up was anything but the same experience... because within 7 days of my top-up I had less than �2 of credit remaining, even though my usage was exactly the same - as previously stated! Obviously I got right onto Three who said that because I had 'ARGUED MY CASE WELL,' they would reimburse me with a �5 credit, although I had INITIALLY asked for a complete breakdown of my usage_ which wasn't provided! As they couldn't provide me with an 'internet' breakdown, I kept a close eye on my usage thereafter, only to discover that the �5 credit (along with a further 150 free megabyte of data) disappeared from my phone after only a few days, leaving me with zero credit??? LESSON LEARNED! These companies attract you in with these supposedly 'great' deals when they are anything but. The fact that Three customer service is always difficult to engage with [i.e. network down] puts you off bothering with them altogether. The best way of dealing with these unscrupulous companies, is to say 'good riddance' to them all! There is nothing worse than a disingenuous company! Three are aware also, that most people aren't diligent with their data usage, so therefore cannot prove or argue their case in terms of usage, especially where a customer has not registered their details with them!!!! As of today, I am searching for an alternative provider... 'TELLO'(whom I stumbled on today) may well have been of interest to me had they not insisted on my bank card details before I'd even tested out their product? seems as though my search for a new provider continues...Stay away from Three! I left O2 in May because I thought that they were being bought by Three. Bad mistake. I travel a lot, and earlier this month in Germany I was without Mobile coverage for five days. I thought that the phone was broken, but it started working again in the UK. I called Three - bad mistake number two. Their help desk and internal escalation is really bad. It's not just that they can't help, there's no empathy or engagement. I guess that they are used to rolling out the bad news, reading from the card, day in, day out. The final result is that Three has tie-ups with only three providers in Germany. None of these is Deutsche Telekom. They say that if I have a problem I should ring them. I hope that you can see the problem with this. When I finally explain that this is not a helpful suggestion they say that I should ring and check in advance of going to a country to see who they have a tie-up with. I'm in seven European locations between now and Christmas, and Three really doesn't get the idea that I don't want to play guessing games, or to ring in advance of travel. I just want my old O2 service back. I think Three is probably good for some purposes, but it just doesn't do what I need it to do. I'm thinking of cancelling the contract and asking them to sue me if they want any money. Ny advice is to steer very clear, unless the service fits you better than it fits me. They are very expensive outside their Feel at Home locations. Joined Three about a year ago after finally realising just how awful Vodafone's data network was. On the whole it's been a much more pleasant experience. Outdoor 3g coverage and performance is in general very good. Good value, I was one of the last to get the �15 unlimited data and 200 minutes 30 day sim only deal. The wifi calling app is pretty usable. Indoor coverage is mediocre, there will be more places than say Vodafone where you will get no signal because they have no 2g voice only network to fall back on. 4g rollout has been a disaster and availability is very limited. Three(!) areas local to me were on the planned list when I signed up, 12 months later none of them have a whiff of 4g. In busy areas, 3g performance drops of noticeably due to congestion. Their supervoice service looks like it will not be available to non 3 supplied devices. This would solve their indoor coverage problems at a stroke for me, so much for #makeitright. Prices have gone up considerably in the last 6 months, if the sale of O2 is approved then expect this to continue. I have a PAC code but am undecided at the moment as to whether to move simply because the other options don't look particularly appealing. The mobile telecoms market in the UK offers poor service compared to those in other countries and badly needs rebalanced to give customers more power when they don't get the service they pay for. Where to start? !First of all me and my partner travel a lot, however my phone havent worked in neither of theese places (Lanzarote, Egypt ,Corfu). Also i dropped my phone so the screen had to be replaced , call 3 rescue and was told that i would have to pay 100 excess and my bill earlier if i wanted it done quick. So i did pay both payments, but when my original bill date arrived i was charged agen. After speaking to very unprofessional customer service rep i was told that it could take phew days to receive my money back !!!!!! 3G network is tirapel + service very bad and In Some places they could not provide u Internet inside your house they don't have indoor coverage and customers service very bad they lie alot we r 8 people at work have 3G we call them to complain about the network the answer was  sorry so many Tourists using this service now as I live in central London so they say when they leave the Internet will get improve  and customers Service in India I don't understand any thing I think all Indain combany in London like talk talk not good at all very rubbish service so from here I advise u guy to not full in the same mistake cuz u will regret. Bought this phone because Tesco would not deal with my problem of having to wait a week to use my password on the phone I bought from them. Bought yet another Samsung from Sainsburys. Galaxy 3mini. Cannot get it to work. Keeps saying no network? Today, six days later, I get a letter from Three showing my Agreement for Direct Debit. Again I tried getting into Account. After several attempts I get the message Site Not Available at the moment try again later. They rolled me onto a payment plan that cost me the same per month as my contract that also paid off my phone loan (�35) with insufficient notification. So far so most phone companies. Not fair at all - but many do this. However, they also charged me a cancellation fee of �25 to get out of the new payment plan, which I wasn't asked to confirm going on - after my contract had finished! Must be said that the manager on the phone was v sympathetic and conciliatory, but it doesn't change the fact that the company is shockingly bloodthirsty. Go to O2 or giffgaff or go sim only instead! I have been with 3, for many years now, convinced my whole family to convert to 3. However the last few months have been shocking, the customer service has been disgusting unless speaking to a manager. Firstly my ex partner ( that I have not spoken to for 2 years) somehow got an upgrade using my account details, which 3 authorised. With this I tried to cancel it and the contract which apparently I could'n t do!! After 12+ phone calls, shouting, tears and being emotionally drained, I got through to a manager who finally could help. The service I received before him, was awful, I have never known anything like it! I then received a slight discount as compensation, which then the wrong handset got delivered, with this I called and got advised could change the delivery address- 4 calls later and being put through to yet another manager, I got it changed! I think 3 need to look at what their teams are suggesting and advising to their customers, as I only followed instructions given by 3!! I think it's hilarious how they can authorise an upgrade without my permission but when it comes to my convenience then there always seems to be an issue or security reasons- UNREAL! Extremely disappointed and major trust issues as the moment with my current network of 5 years!! I use a 3 mifi and it works nearly everywhere in France 3G and up to now at home and around so I can't a complain it's on 10g sim only. I was charged for a call that I didn't make - the alleged call was made during the wee hours to someone I didn't know, while I was asleep in a locked room and my phone was turned off! I was also charged for a call to my landline while nobody was home so the call wasn't picked up. Still I was charged. To sort out the above I was charged �5.40 for calling "Customer Service" when in fact, they had invited me by text to phone them, even stating that the call would be FREE. It wasn't free. BEWARE!! On their website, Three claim in big bold colorful letters, "Use your phone abroad at no extra cost". However, what they DO NOT tell you up front, (you have to dig deeper to find this out) is that you have to PURCHASE a 30 day 'add-on' for this privilege of using your phone abroad "at no extra cost". Well, this ISN'T at no extra cost if you have to PURCHASE an add-on. And if your travels exceed 30 days, you have to PURCHASE ADDITIONAL 'add-ons', all which are packed with a time bomb to self destruct whether you use them or not, causing you to have to BUY them again and again. HOW is THIS "at no extra cost"? Simple answer, it isn't. They further state, "Your device is ALREADY set up to use your 'allowance' abroad at no extra cost." So doesn't that mean I am good to go? Apparently not! When I began using my phone abroad, it was more than obvious that I was no longer being charged the rates promised. After two months of useless emails, unprofessional phone calls and misleading texts from Three's customer service, I finally got SOMEBODY to say, "You have to BUY an 'add-on' to get the 'at no extra cost' rates." How ludicrous! So I correctly conclude that my 'allowance' is NOT the credit I have on my phone which I previously purchased; my 'allowance' is an 'ADD-ON' which I was SUPPOSED to have purchased in ADDITION to this. Who knew? Three say, "Use your phone abroad at no extra cost". They SHOULD SAY.. "Use your phone abroad at no extra cost AFTER YOU'VE PURCHASED one of our time limited, self destructing, whether you've used it or not 'ADD-ONS'"! But of course, they don't want to tell you this and they hope you won't notice what you're being charged. Terrible customer service. every time you ring you have to repeat everything. their right hand has NO IDEA what the rest of them are doing. Dont join.once they have you on books they don't give a toss as bout your prroblems. Been having a nightmare with this company. Latest is no phone signal for 4 days every week and pathetic internet data signal too. I am trying to run a business and it is now failing due to the appaling service i am receiving. Its impossible to get in touch with them as none of my devices work anymore. Steer well clear is my advice. Been with three for 7 years and lately their customer service is terrible they treat you like a new customer and offer you rubbish deals. Also their network signal is terrible for the price you pay, which shows that you are better off going to another network. We bought a Three mobile phone, It has been an absolute disaster: no coverage anywhere in our area (although Three's web site claims good coverage) Three provided us with a booster which was meant to improve coverage. It did not. Tried to use phone on a trip abroad. It did not work. Tried calling their help line. it did not work. We tried downloading a "Three in touch" app which was meant to improve things. It did not work. I could go on and on! I note that other users have similarly bad experience of three. My advice" don't touch this product under any circumstances. Beware 1. This network is rubbish and drops more calls and has no reception and is 100% the weakest network out there in my eyes and i have tried them all. Don't compromise cost for a poor signal. Beware 2. Their customer service is based in India and they are like robots. They are trained o say exactly the same thing. I am 100% anti racist but all i'm saying is the customer service is remote and like talking to a computer that just does not listen like humans. Beware 3. When you cancel if you are getting a PAC code beware! Aside from me asking them to cancel my contract I asked them for a PAC code (again lack of communication from foreign Robot) if the PAC code is not used, even though you have told them you are leaving, they continue to charge you for 4 months after and will not offer a refund saying its in there T+C's. If you get a PAC code use it on day 1 because the clock is ticking. If you use it they will charge you a month from the date you use it anyway and if you don't they continue charging you monthly so beware!!! I have been a customer of many mobile phone network providers and I have never come across a company as bad as Three in my life. In 2009 I did not make a payment for one of my bills which was �68 as three over charged me and I did not get any network signal at my house for several month, with no one willing to sort anything out. They eventually made me make the payment of �68, but then to my surprise once payment was made I had a DEFULT on my credit history which stays there for 6 years. I called up and was told this would be removed, 5 years later to my surprise this DEFULT is still on my credit file. I spoke to them in depth today and the person I spoke to MR STEPHEN LOUGHERY who claimed he was a manger, he refused to help me and would not pass me on to someone that could help. frankly I would say do not USE three and do not speak to a MR STEPHEN LOUGHERY. VERY VERY VERY POOR SERVICE. I'm a pay as you go customer as i am a mid/light user so i was taken with the 321 rates, went into a 3 store only to be told by the "advisor" that 3 do not offer pay as you go and i would be best on a sim only deal, and yes i did hear correctly as had someone with me, she did say that they do not offer pay as you go and tried to steer me onto a �18 per month plan, i said i wasn't interested and left it there and decided to try another 3 store as i liked the sound of the payg plan and thought perhaps it was just this particular "advisor" on entering another 3 store i told the "advisor" my needs etc and she turned and said "why pay as you go?, we offer much better contracts/sim only which are much better value" eh hello love, i have told you i want payg, if i wanted a contract or sim only i would have asked for that. All in all has put me off joining 3 as they clearly do not want my custom and do not listen to their customer needs and can only imagine they are told to push contracts/sim only to reach their sales targets. I thought they promised much too but there is no way i will go near them after that experience, if that's what "customer service" is like before i buy i can only imagine what it is like afterwards oh well 3 i have taken the �300 i was prepared to splash out on a new phone for myself to one of your competitors and am reasonably happy, ok paying slightly more but it's worth it for decent customer service. And before anyone says that 3 wouldn't have said that they did not offer pay as you go, the "advisor" did infact say that which is a blatant lie. I've been with 3 for 2 years. So after my initial contract ended I was qualified for an upgrade. I did this over the phone and my phone was delivered within a day. However, it was delivered with the wrong Sim card!! A micro, pay as you go Sim with a different number. This was not compatible with my iPhone 5s. This was very disappointing, as I required the phone ASAP! Being without a device nowadays is a total burden many would agree. I called the 3 helpline many times, and the advisors kept telling me it would take 3-5 working days. That would mean an extra week without having a phone; this was not ideal as I felt I was owed a better deal, as it was their initial mistake that led me to the current conundrum. I spoke to the manager who kept saying he understood, I have no idea from what perspective, as I was the one who had to go on without a phone. He then offered my �20 to my 3 account; I don�t know how this is applicable as the phone is under a contract. Nevertheless, the contract had begun the day the phone was delivered with the wrong sim. After long conversations they still told me 'nothing could be done'. This was an all in all disappointing experience; they made no effort to help me with getting my phone on time despite this fact that it was their mistake. When this contract ends I will no longer be using 3, the data packages seem attractive - all you can eat. However, all that glitters is not gold. My 3 coverage was bad at work but then so was every network except that boosted by a vodaphone booster (the company network). At home I had to sit near window for 'mobile' calls but I'd had the same issue with Orange. Then 3 signal improved and I was reasonably happy. Next thing I get a postcard re TV Freeview reception informing me that 4G was coming to my area and may impact TV reception, from that time my 3 signal has deteriorated, my calls repeatedly fail mid call and I often get No internet messages even though my phone shows I have network and. 3G. One 3 shop told me the old switch it on/off routine and said there were issues with the network which were being fixed that night- funny coincidence? He also let slip that I was the 7th person complaining about the network in that shop on that day! Last week went to another 3 shop who said I needed a signal booster provided free if I rang customer services - no such luck they asked where I was having the network problems then said there were no reported network issues so it must be my phone and I need to reset the network settings for my phone trouble is I don't know the 4 digit pass code as it's a long time since I got this phone. Beware of sales people saying a phone upgrade is the answer if the problem's the 3 network then all you've done is tie yourself up in another contract. Then went to one of the multi network phone shops who told me that 3 have been having difficulty resolving network issues since they moved to 4G plus side is that he offered to buy out my contract if I took a new phone contract through his shop obviously trading in my phone as part of the deal. I'm seriously considering this as my next step. I'm without my number for around 48 hours, because of misselling! Now I have no idea who wants to contact me and by the nature of my job I don't know some people calling me and I can't notify them about another number just for couple days. Therefore I most probably loosing a lot now and I have to disturb a lot of people about temporary number. Technical support couldn't give me any solution at all. Will leave company, which is lying to customers, ASAP! Also signal indoors is very bad and disappears sometimes. Plus my friend told me that he had problem with roaming abroad. average signal cover but the worst customer service ever, based in Indiacall center which is not a problem but everything is read of a script and there is no help or flexibility. Fine if you don't have a problem with your phone, upgrades or service or bill. If you do and it involves any format of refund. Good luck. ..3 will give you 2 fingers. Having been with both Orange and T Mobile, I found the signal even under the new EE, pretty poor all over the place. I was advised by a few people at work to try Three, so I switched from T Mobile, and moved onto a sim only deal, �12.90, 200 mins, 5000 texts, and unlimited data. What can I say, superb signal everywhere I have been, and in Manchester now we have 4G for no extra cost. If like me you buy and change phones a lot, get yourself a sim only deal from Three. No commitment 30 days at a time! Had a 2 year contract with three, after setting the direct debit with them, they took 12 upfront payments of �47 (�564) which absolutely rinsed my bank account straight away, called them up and they told me i had to prove it before they refunded me, they wanted me to scan my passport and driving licence, my monthly bank statements and a letter from natwest showing that it was them (hutchinson 3g communications) that done this, I reluctantly canceled my contract straight away and now have a debt collection agency chasing me for the remainder of the contract, am �564 less than when I started and had a "default" next to my credit score so I'm struggling to get another contract, how are these fools allowed to do this? Currently in the process of going to court over this! I have speeds up to 21mps wow!! Have called customer service (India) they were really helpful and knowledgeable. Been on contract with 3 for nearly three years now and its the best network ive been with. Would recommend to anyone. Been without network for over a month-no service nothing, made complaints but people in India are limited in what they know and can do. one said it was because this was Devon and the network was 'saturated' !!!!! No. Another said there was a problem but didn't know what. How can they sell you a phone and 'service' that is not fit for purpose? Will NEVER get a 3 phone contract again - stick to Orange - I was with them before and wish I had never switched. Phoned to request PAC code and very efficient , friendly service. Shame I had to leave simply because coverage is patchy where I work ( why I dropped a star ) . Was with them on PAYG for about a year with no problems . Apart from work, signal very good and fast 3G elsewhere where other providers couldn't achieve. Customer care very good. The network has been out of action at my office for over four weeks now. Every time you ring customer services you get told a different thing, none of which is honoured. If there was a rating for lying they would get five stars. I suggest nobody ever signs a contract for telephone services with this company, they will bill you but not provide the service. Switched from O2 to Three as wanted to have a PAYG service and wanted good "value for money". Three et that criteria with my usage pattern (mainly text and data). Initial activation on Three service looked good, but when I tried to port my old mobile number to them they got it badly wrong and I ended up being unable to make calls. There problem analysis and action plan was to do a full hardware reset of my phone (clearing out all the apps I'd installed) and to get a replacement SIM card. After doing all this I still had the problem and so decided to switch to another supplier as I needed to have a working phone. Three said I had a "known problem" and could not give me a fix time. Then it really went bad - my phone number switched to the new supplier, but Three managed to keep my number active on Three as well, so I had to carry 2 phones with me. After 3 weeks they had still not sorted out the problem - I was ringing them every 2 days for an update and it was always "we are very sorry" and "we'll sort it out in another 2 days" (but they never did). In the end I just decided to get a new telephone number with the new supplier and leave the old number to die with messages on both voice mail systems. Three are refusing to give me a refund - instead only offering credit on a future purchase - am escalating to ombudsman. As far as signal is concerned, the Three signal is not too bad but is more patchy than other suppliers (especially for voice/text) as there is no 2G signal to fall back on. Just used for 10 days and it drove me crazy. No network at home, fluctuating network at work but zero data connectivity. Couldn't even perform a speed-test as the connection doesn't last for even few seconds. Extremely poor customer care, go by the book attitude and don't listen to the customer. Kept sailing useless options of buying another handset, upgrade plan or transfer the painful plan to a friend, now who does that? Cancelled within 10 days of purchasing but no concession. ive been with 3 for many years now because of their excellent value price plans and have always been really pleased. in 8 years i have only had one experience of signal issues and that was due to them carrying out work on a mast in the area. They refunded some of my monthly bill for the hassle. Ive just upgraded to the sony z on the one plan (i tether for my home internet connection) and the signal is amazing. since they have started upgrading the network to ultrafast (like 4g) i now get between 5-8 mg speeds at night and in the morning i can get 13mbs!!! The customer service has always been good overall and if you want additional phones/tablets/dongles on another contract they do REALLY cheap deals- if you do it through customer services and not in a 3 shop. i used to have good network coverage and then it stopped. 2 months later I have no coverage and only 50% coverage when i travel throughout the UK. A complete swizz and disgrace and for the long term contract it is almost fraud. Avoid like the plague. CURRENTLY NO NETWORK IN MY HOME AREA, NO MOBILE PHONE SERVICE NO INTERNET BUT THEIR SITE SAYS NO WORK GOING ON BUT CUSTOMER SERVICE IN INDIA SAYS COULD BE DOWN FOR 15 DAYS!! HAD TO DRIVE 5 MILES TO BE ABLE TO USE LAPTOP WITH MOBILE DEVICE. WASTE OF TIME CALLING CUSTOMER SERVICE & PROMISED A CALL BACK BUT STILL WAITING. ROLL ON END OF CONTRACT I WILL BE GOING ELSEWHERE! If you do one good thing with your life it will be avoiding these con merchants. As everyone else has put, shocking customer service, by shocking I mean ignored every email, tweet everything I have sent to them, the reason why I have sent complaint after complaint is because of their even worse signal, seriously if you want my advice create your own telecoms company and you be better off failing that two cans and some string as that's what you'll be getting used to if you choose this network. I just signed up with 3 unfortunately there was a very poor signal and I was unable to make or receive any calls. Contacted them customer service was very poor, and insist that I pay them for the full 12 months if I end my contract I only signed up about three weeks ago. What can I do? Dont ever go to 3!!!! Three have terrible customer service and poor security. My account was hacked and someone ordered an upgrade without my permission. Their staff were rude and unhelpful in dealing with the problem, I was repeatedly told that someone from the investigations team would call me but they never did. I only found out the problem was solved when I got a call from their sales team asking me if I wanted to upgrade! All I wanted to do was cancel the account, but they wouldn't let me until they'd got back the phone they'd sent out, so for a while I was paying two contracts event though it wasn't my fault. They said the fraud was a one off but a quick search on the internet shows that it has happened to several people recently. my line rental is 35 pounds with 2500 mins x network, unlimited to 3, unlimited txts, and unlimited internet all for 35 pounds, but some how my bill is always over 90 pounds. Had a htc wildfire unable to use it for work purposes ie as a remote computer ie team viewer or get skigo etc so bought a samsung s3 i thought great but unable to get a signal at work or my local place at home so im no better off unless i go with vodaphone htc phone again at least i could get the internet ! Not at all happy with 3 mobile coverage. I was with 3 for a year and they have easily the worst customer service I've ever encountered. Couldn't get a signal in my own home which they couldn't fix for several weeks and even then it was temperamental. My compensation for this was �5. As my contract was due to end I rang to cancel and was told I was late in telling them as I need to give 30 days notice, meaning I have to pay an extra bill even though it is entirely their fault I was cancelling in the first place. The customer service was so shocking I couldn't even bring myself to call up for my puc code when leaving. STAY AWAY FROM 3!! I have been with 3 since Feb 2011 on a 24 month all you can eat data plan with a free HTC desire HD now running 2.3.5 gingerbread. (HTC have deemed not to upgrade the HD desire to ICS). 3 network in London & east Kent, good, strong signal and mostly reliable. When we had a weekend outage they immediately reduced the monthly bill. Service is good when any query arises and all in all its probably the best of all the networks I have been with (which is all!. I really like the all you can eat data plan, when my BT broadband was frequently down, the portable wifi on the HTC with 3 data plan meant I was never off line! I would recommend the network, but am looking for a good deal in Feb to stay with them. I moved from O2 to 3 when I got my Galaxy S3, the principle reason being the All You Can Eat data with the contract. Had I read the reviews here I would never had gone with this network but so far, it's all been positive. Network coverage in my area is at least as good as O2 and in a lot of places actually better. The contract I'm on could not be matched by any other network and the data allowance really is unlimited! Fancy streaming the football on Sky Go? No problem. I have been with Three for 9 years and had the following phones: Motorola E1000, LG CU500, LG U400, Nokia 6280, SE C902, SE K770i and the iPhone 3GS. I could never fault the price of the deals which is why I remained with them for so long but the customer service is frustrating. Everytime I have contacted them with an issue I have had to repeat myself over and over again. They are based in India and read from a script. Whenever my contract has been due for an upgrade they have been very pushy. They have allowed me to downgrade my price plan due to poor quality of service but only after several months of complaining. They were never going to allow me to cancel my contract without paying them the full amount even though I can not get a 3G signal within 50 metres of my home. The coverage is OK in major urban areas but poor outside of this. They have tried to charge me before for sending multiple text messages and for making calls outside of my allowance. I have always disputed this and have always been compensated. I approached 3 to purchase a high spec smartphone for my son and two lower spec ones for myself and wife. I was hoping for a single contract and a good deal. 3 offered a good deal on rates for 3 units but refused a single contract. The sales person insisted on 3 contracts and insisted on 3 separate credit checks for each DD which were all on the same bank account! Throughout our discussions I asked several times about upfront costs and was assured there were none. Not until I had signed the contract for my son's mobile and was about to sign contracts for the other two did he say "Oh by the way there is a �150 deposit on these handsets". Apparently it would have been refunded in 6 months time. You can imagine my reaction at this attempt at the oldest trick in the dodgy saleperson's book! So I ditched the two low spec models and simply took the one for my son as he was about to disappear off to Uni and despite my outrage was still the best deal around. I complained to 3 (yes - a call centre in India) who agreed to send me a written note on the results of our discussion and surprise surprise the e-mail bears no resemblance to that conversation. I shall be watching for price hikes as noted by other reviewers. My strongest advice is avoid 3 if you possibly can and I am now really nervous that they have a DD on my account. I keep kicking myself that I kept my son's mobile and that I am their customer at all. It was good for the first few months.. However, the network connection has been intermittent for three weeks now and I've already informed Three tech support but there's no help at all!!!! AVOID THIS RUBBISH COMPANY LIKE THE PLAGUE!!!! Do not be taken in by any of the offers they appear to be able to provide...once they reel you in there is absolutely no costumer service and you end up banging your head against the wall speaking to some powerless call centre in India with apparently NO ONE to speak to based in the UK. I have been with them for 2 years now and have had nothing but trouble and will be reporting them to OFCOM for taking money out of my account illegally!! Stick to a reputable company like orange who have excellent customer service and UK based staff!! Agree 100% with comment on price increase. Rang Customer Services who said that all providers do this. I have never seen this before and will look for another network at the end of my contract. Ps My son was on Pay as you Go with three but has left to go to Tesco Mobile. Have been with 3 on a an "all you can eat" since Dec 11. My experience is that mobile signal and 3G coverage is no better than average although I've had no download issues when there is a signal. My biggest issue is that 3 cannot honour the simplest term of their contract - the price. They have imposed a price increase (yes on a contract) within the first year. It may have gone up by only inflation but this is within 8 months of the contract start. At this rate they can squeeze in another 2 price rises before the contract expires. Although their terms and conditions allow them to do this (well of course they do!) while the customer has no recourse, it is a cynical and blatant disregard for the spirit of a contract. The very simple fact is if they could not afford to honour the contract (hmm - just watch their profits rise) they should not have offered it in the first place. Their customer services aren't interested and the service they offer is generally poor. It's a personal choice who you go with on a contract but buyer beware - you will have no idea how much you will end up paying with 3! They all do this. Orange have done it for all customers very recently. The worst network ever in my life. Weak signal, call dropping and no signal at all at most places should be the logo for three. I have for last 10 months and now having severe problems with network. I tried to complain to network technical team about this and waited for 30 mins for call to be answered and was fed up with there music, unfortunately has to disconnect. My honest advice.... Go anywhere but not 3. Recently moved from tesco sim monthly to three as I wanted a new phone and feel its the worst mistake ive made. They said i had three bars of signal in my area so should have no trouble calling or texting, and that they had the fastest mobile internet out there topping that of tesco or o2. Have found that I can get no signal what soever in my house and very hard to get internet out and about which seems only able to surf the web or stream low qualty youtube videos. At least my package was reduced from �25 to �20 but found after calling support they said wait a few days and theyd call me back to check, a week later they called and guess whos stuck with the phone for 2years.... Don't waste your time, tescos and o2 where ten times better for me. appalling coverage in london intermittent 6times its drooped service without any explanation avoid this company like the plague they don't care about service customer or fact no internet for days at the time in central london just complain to ofcom which i intent to do for breathing contract buy not providing service i am paying for how they will cope with olympics is beyond me don't buy any smartphone from them if you want to use it like it should be used. I would never go with 3 again such BAD Manners and attitude. I wish to be fair. I use to be a 02 customer very good reception.came to end of contract asked for a good deal they weren't interested at all was with the for 4 years.Wasnt keen with going to three network on two year contract with the one plan but I gotta say I've been with three now for 5 months and I am very impressed.Customer service ain't to bad could be better but very helpful also.Alot of my friends have also joined three and are very happy.So three keep up the good work and try to get even better. Been with 3 for four years and in all fairness they have been very good, the call centre is in India but they always ring to make sure any problems have been rectified. 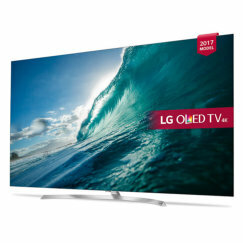 My contract is due to finish now and I am looking at the S3 but right at this moment they will only give me a deal off their website and there are better deals to be had. Overall 3's coverage is very good and their net speeds are excellent. They have taken 3 months to return my phone from repair. I have not got it yet. Awful. I took my phone into a 3 shop 3 months ago and have still not got it back. I agree that the deals for existing customers are not very good. I have been with them for 4 years. 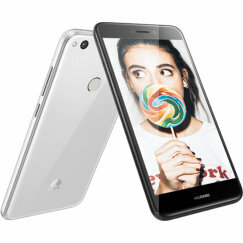 Tried to get a good deal on upgrade to top of the range phone and would not match deals from other companies. Coverage on three is no better or worse than the other major phone networks as far as I can tell comparing with friends on O2, orange and T-mobile. Fast customer help response, but the staff are under-trained. They constantly ASK YOU to text about feedback, and give you an annoying amount of calls about advertisements. Prices are BAD, for contract customers who have been with the network for a while (especially). You will pay like �35 a month for a one plan with any new phone & over 24 months. If you go sim only and simply buy the phone, its far cheaper. Since the price, coverage, and customer service is the only thing we can really rate a network on, it gets 2 stars. I live in a major city,and the coverage is very,very poor-the signal vanishes daily,and the phone often runs only on edge or gprs-3g coverage is intermittent at best. Customer service has been poor in my experience-somebody with a very sketchy grasp of English 'helped' me the first time I contacted them,and then unsurprisingly the signal vanished so had to ring again and again and again. I signed up with Three over a year ago because the deal just seemed unbeatable, I couldn't believe what they were offering for the contract price, I was hooked... Then I realised why it was so cheap. After 11 months my phone (HTC Wildfire on a 24 month contract) developed a fault with the touch screen, after sending the phone back and forward, numerous phone calls and 4 weeks without my phone, the issue was still not resolved; Three promised to call me back after the repair to see if my issue was resolved, but they never did. So, for 7 months I used a friends phone as I had given up on Three, but my friend then needed the phone back, so I sent my wildfire back in for repair... Two weeks ago my charcoal grey wildfire came back looking a bit different, it was red! Somehow, the clowns in their repairs department managed to put a red front on my grey phone, but of course, I still have the grey back cover! Three's solution: to offer me 5 pounds to get a red back cover to match their mistake! Firstly, I can't even find a red back cover for less than 9 pounds, and secondly I didn't want a red phone in the first place! Now the best they can offer me is to send me a red back cover and give 10 pounds credit as compensation. After all the hours I have spend on the phone to various members of their team, being messed around by incompetent staff and by being promised phone calls that never happened, that is all they can give me for a phone that I now don't want because of their mistake. Your time really is worth nothing to this company. For anyone considering buying a phone from Three, please think again, they don't deserve your time or your money.